With the whole world going digital, many companies have become focused on their online activity, and customer service has become automated and frustrating. But for one of the original outgoing email service providers, SMTP2GO, their dedication to offering a friendly personal service to all clients is one of the many reasons why they won the Front-Line Customer Service Team of The Year award in the 2017 Stevie Awards for Sales & Customer Service. SMTP2GO provides 24/7 international customer support for servers across the globe. They’ve been listed by Deloitte Technology Fast 500 for five years in a row now and believe their success stems from their work-life balance values. SMTP2GO is a business with a heart. Last year, a beach in the Abel Tasman National Park was almost sold and made private. SMTP2GO donated to the “Give A Little” project so they could purchase it and donate it to the people of New Zealand. Flexible work methods have also helped one of their customer support agents volunteer to foster abandoned puppies and kittens from an animal rescue center in Spain. Since she started, over 30 pups and kittens in the last year received loving attention in a home. SMTP2GO heard about what she had done and sponsored the shelter with a portion of the donation paying for a life-saving operation on an old abandoned Podenco dog named Amatxi. SMTP2GO was pleased to say that Amatxi on the mend and looking for a home. SMTP2GO also speaks to all of their employees on a regular basis to get feedback on anything they think is important. They then conduct annual reviews to make sure they're satisfied with their work. With over 90, 000 satisfied customers in over 140 countries, keeping employees happy is going well to say the least. A common thread among successful, enduring brands is always putting the customer first. Selling to existing customers is much more inexpensive than attracting new ones. Research shows that companies spend five times more to attract a new buyer than to retain a previous one. Yet a primary mechanism for delivering customer service – a large call center operation – can be limiting. Often, these facilities are trying to lure local job seekers who have little attachment to the brand. And that becomes evident in their interactions with the customer. Arise Virtual Solutions is trying to fundamentally change that paradigm. The Miramar, Florida-based company provides a cloud-based platform that allows businesses to utilize a network of “micro” call centers around the country. Often, these are semi-retired adults, stay-at-home parents, or even people with disabilities who work out of their homes. Because the talent pool isn’t confined to a small geographic area, companies can look for individuals who have a higher level of work experience or who possess specific skills, such as the ability to speak a foreign language. It also enables organizations – whether they’re manufacturers, retailers or service providers – to recruit representatives who share their values and interests. That aspect resolves some of the high turnover issues that plague a lot of traditional call centers. It also turns those individuals into advocates for the brand. A cycling equipment maker, for instance, is able to staff people who are avid fans of the sport. As a result, they have a clearer understanding of the questions that customers have and are able to suggest products that will fit their needs. In the 2017 Stevie Awards for Sales & Customer Service, Arise was recognized for its innovative solution. The company was awarded the Gold Stevie® in the Best Use of Technology in Customer Service - Business Services category. Want to submit entries in the 2018 Stevie Awards for Sales & Customer Service? Request your entry kit here and it will be emailed to you when it's available. For firms that use the Arise platform, the advantages go beyond the talent level of the customer service workers. The technology also provides a flexibility that traditional call centers don’t offer. Consequently, an industry that was once dominated by large brick-and-mortar operations is undergoing a seismic transformation. A trade group survey found that as many as 70 percent of call center managers intend to move to a cloud-based infrastructure in the near future. The array of benefits has led to impressive growth for the company, which was founded in the mid-90s. Today, the Arise network includes thousands of micro call centers throughout the United States as well as in Canada and several European countries. Those individuals provide support for companies in a wide range of industries, from healthcare to retail and banking. Arise has garnered a number of recognitions over the past few years, including accolades from the Outsourcing Institute and the International Customer Management Institute, or ICMI. Arise CEO John A. Meyer indicated the Stevie Award represents a major achievement for the organization. “It is truly an honor to be recognized by the Stevie Awards and our peers,” Meyer said in a statement following the ceremony in Las Vegas. Learn more about Arise Virtual Solutions. 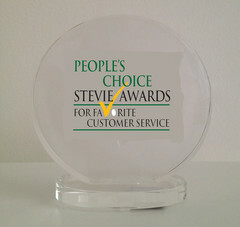 Winners of the 2017 People's Choice Stevie® Awards for Favorite Customer Service, a worldwide public vote, were announced today. Voting was conducted from January 20 through February 10, with the highest number of votes deciding the winners in 12 industry categories. All organizations honored in the Customer Service Department of the Year categories of this year’s Stevie Awards for Sales & Customer Service were eligible to be included in voting for the people’s choice awards. The Stevie Awards for Sales & Customer Service, now in their 11th year, are the world’s top honors for customer service, contact center, business development and sales professionals. More than 149,000 votes were cast this year. Nicknamed the Stevie® for the Greek word “crowned,” the awards will be presented to winners at the 11th annual Stevie Awards for Sales & Customer Service awards banquet on Friday, February 24 at Caesars Palace in Las Vegas, Nevada. Tickets for the event are now on sale. More than 600 executives from around the world are expected to attend. The presentations will be broadcast live via Livestream. Sponsors of the 11th annual Stevie Awards for Sales & Customer Service include Sales Partnerships and ValueSelling Associates. 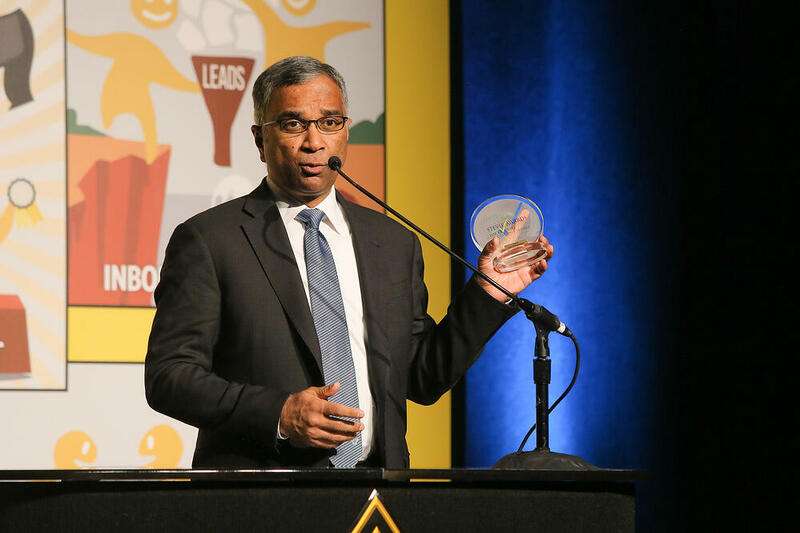 Stevie Award winner Generali Global Assistance won the Silver Stevie Award in the Customer Service Team of the Year category of The 2016 American Business Awards. 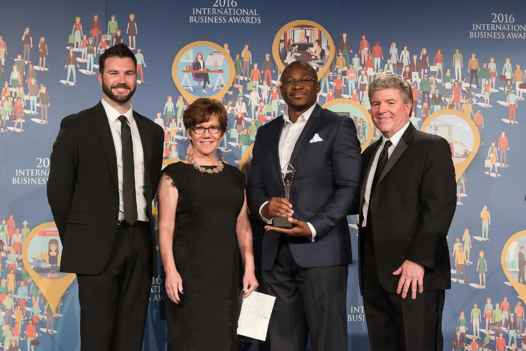 The ABAs are the premier business awards competition in the U.S.A. which attract more than 3,000 nominations from organizations nationwide each year. The American Business Awards are accepting nominations for the 2017 program. All organizations operating in the U.S.A. are eligible to submit nominations -- public and private, for-profit and non-profit, large and small. 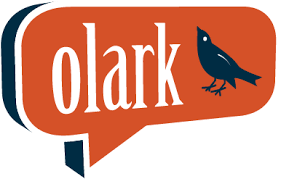 The last early-bird entry deadline is December 14 – with discounted entry fees. The final entry deadline is February 16 and late entries will be accepted through March 15. What does Generali Global Assistance do? Generali Global Assistance (GGA) has protected the assets of organizations and their customers for over 50 years, and provides best-in-class identity theft protection and resolution services for leading Fortune 500 companies. GGA’s recently launched Iris® identity protection platform which is offered as a solution to over 25 million people addresses all areas of need for companies and their customers, offering 360° protection with prevention, monitoring, alerts, award-winning resolution services and identity theft insurance. What is your role as the President & COO? 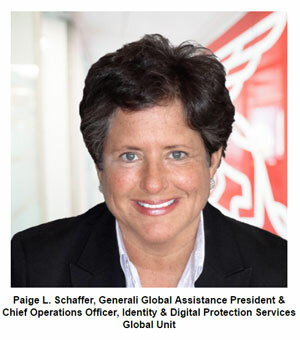 I oversee our Identity and Digital Protection Services Global Unit. In this role, I lead sales & marketing strategy and revenue growth initiatives, and manage operations as well as global expansion. Additionally, I ensure that we continue to offer the best possible solutions to our clients, minimizing the risk of identity theft for our diverse set of end users and maintaining a deep commitment to customer service. Identity theft is on a precipitous rise internationally and consumer demand for identity protection service is rising at an equal rate. People are turning to the business and organizations they trust to get the protection they need - financial institutions, insurance companies, travel providers, legal services, associations and membership organizations, among others. Our vision is to develop a seamless business-to-business platform driven by a people-first mentality that can help organizations of any type generate new revenue and exceed their business goals, especially as it relates to strengthening trust with their customers and building long-term brand loyalty. We have experienced ongoing success largely because the foundation of our program – our customer service team of identity theft resolution specialists – continues to be one of the very best in the business. Helping people in their time of need has been GGA’s core DNA since its founding in 1963. Identity theft results in major emotional distress and financial difficulties for victims. As such, it’s absolutely essential to our mission that we not only quickly resolve any issues for identity theft victims, but do so in an empathetic, caring way. 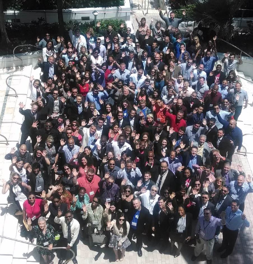 Our entire customer service team provides a human touch to identity theft protection and resolution, and this nomination was an opportunity to recognize their exceptional work. The Stevie® Awards are well-recognized and respected and we received several recommendations from our partners and clients to submit a nomination. We are thrilled to have won a Stevie for the fourth year in a row – and we were especially excited, after learning of our American Business Award, to receive a Gold Stevie from the International Business Awards during the same year. Each Stevie® Award that we win is a rallying cry to continually improve and innovate. It’s a valuable reminder to the entire GGA Identity & Digital Protection Team that the world is watching and taking note of those companies that are providing extraordinary service. When we meet potential new business clients, customer service is at the top of their minds. Having a trophy case full of Stevie Awards drives confidence that our team of identity protection specialists are industry leaders and will work tirelessly to meet the needs of all customers. Identity and Digital Protection Services remains one of the fastest growing business lines within Generali Global Assistance and in the time since we received our first Stevie Award in 2013, we’ve delivered a number of service enhancements to support our expanding client base. Most recently, we launched our new Iris® online identity protection dashboard earlier this year. We have deployed Iris® for several organizations across a variety of industry sectors, including Optima Tax Relief and National Benefit Services, for example. Additionally, several prospective new clients are Stevie Award winners, and they quickly recognize that the award indicates exceptional service. I’m always inspired by the individual stories that I hear from our customer service team. We’ve had specialists work with individuals for months or years at a time, untangling complicated identity fraud issues that had destroyed their credit, made it difficult to work, and put stress on personal relationships with families and friends. It’s so rewarding to see a case successfully closed and to hear directly from our clients when their customers call and say that their lives have been improved because of the work that we do. What changes do you expect in your industry in the future? The world is becoming increasingly connected and the need for identity theft protection will continue to develop in ways that we aren’t even aware of yet – and not just in the U.S., but also globally. The rise of the Internet of Things, surging social media use, more frequent online transactions, and a more sophisticated crowd of international criminals all present significant challenges for digital security. To best serve our clients and customers, continual learning and reinvestment in the technology that monitors theft and fraud is an absolute must. What truly sets us apart and is absolutely crucial to our future as a leading identity protection provider for organizations around the world is a commitment to the person behind the data. While identity crimes are often perpetrated digitally, the victims they affect are human and we will always go above and beyond to care for that individual. From left to right: David Brown, Generali Global Assistance Marketing Manager, Identity and Digital Protection Services Global Unit, Julie Jamsa, Generali Global Assistance Vice President, Service Delivery, Identity and Digital Protection Services Global Unit, Patrice Bobala, Generali Global Assistance Identity and Digital Protection Quality Analyst, and Michael Gallagher, the Stevie Awards President. Does your organization do a great job of addressing customers concerns in a timely manner, but doesn’t have a formal customer service department? The 2016 (10th Annual) Stevie Awards for Sales & Customer Service has created a category group just for you – Customer Service Success. These new categories have been designed to complement the longstanding Customer Service Department of the Year categories. Rather than focus on the performance of a named customer service department, the customer service success categories recognize customer service-related achievements across your entire company or organization. You choose the successes you wish to highlight. The Stevie Awards for Sales & Customer Service are the top awards for customer service, contact center, business development, teams and professionals worldwide. All organizations are eligible to be nominated, in addition to the new products and services used by those professionals. 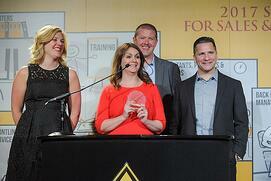 Complete details are available at http://www.StevieAwards.com/Sales. (a) An essay of up to 650 words describing your organization's customer service-related accomplishments since July 1, 2014.